Pastor Washington’s teaching, A Matter of Holiness – Part I, is a call for the church to be the church. This week on Sermon Bites, we excerpt his teaching notes which we hope will encourage and place your mind on pursuing holiness. I want to lay out three main premises. 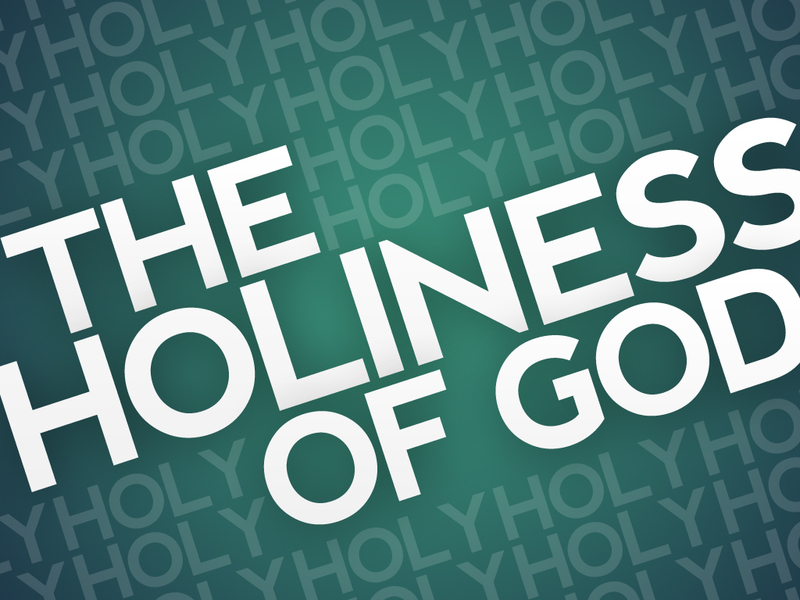 They will explain why we should be holy, how to be holy, and what holiness looks like. My hope this morning is that you come away from this with a clearer understanding in who you are to be in the Lord and that it will strengthen your witness for Christ in the process and stir a desire in you to press on in holiness. In our age, as in every age, people are longing for happiness, not realizing that what they are looking for is holiness. I find this to be especially true for the church today. We hear things like “relevance”, “down to earth”, “culturally relevant”. But this is not found in the scriptures as the calling for the church at all. To meet people where they are at in their culture is one thing. Paul speaks of this in 1 Corinthians 9:20. However, to dismiss and water down the message of scripture, especially the gospel, for the sake of that culture is another. This is the problem today. We look to be attractive to the world instead of being separated from it. We seek to be relevant to the culture instead of looking to transform it. We seek to draw people to church instead of drawing people to Christ. It is the byproduct of losing our identity and not choosing sides definitely. It is the result of mingling with the world and trying to get along with it when we should be militant in our love, zeal, and devotion to God to overcome it. This is where we have dropped the ball at the Church of Christ. We who have the oracles, the very word of God yet fail to listen to it. We who have been given access to the road yet fail to walk it. We who have been given the keys of the kingdom and yet fail to enter into the inner chambers. We are satisfied with table scraps of Christianity and a surface relationship with Christ, swimming in the shallow end of the pool and never going further into the depths where the riches are found. No treasure chest was ever found in two inches of water. It takes ships, equipment, technology, time, patience, and a strong desire. It takes work. It takes commitment. It takes discipline. It takes a single-mindedness that is focused on the goal (1 Corinthians 9:24). For the Christian, we must understand that we are not like the world. We don’t measure things by how the world views them or even how other Christians view them. We weigh and measure everything against the word of God (Deuteronomy 8:3, 2 Timothy 3:16). Our laziness in pursuing God, our irresponsibility in handling the mission that has been given to us, our biblical ineptness when it comes to the things of God and understanding Him, these and more are a byproduct of our lack of holiness and our pursuit of it. Since we know this, we should be ever mindful, ever sensitive, ever cognizant and aware of our sin and seek to lay it at the cross daily so that the next day will be more pleasing to God. Are we looking at the sin in our lives and evaluating it on the basis of a most holy God and His word, or are we just trudging along doing what we want to do and adding a little bit of God on the side? Are we looking to see sin as God sees it, or to see sin as He sees it when it doesn’t apply to us and our lives and what we allow or do? Do we have a desire in our hearts to really be more like Christ, or are we secretly saying, “Well, I don’t want to take it too far.” Do we base our decisions and actions on what God has said, or what we feel is right or the popular opinion of others? Sensitivity to sin is a direct reflection of your holiness, especially when that sin is within yourself.